When Turning Points USA launched its Professors Watchlist, I raised the alarm. A lot of folks did. But others mocked, saying that it was just some website and not worth fussing about. I wrote for The Establishment about it, saying that it was a sign of worse attacks to come. I’m trying to figure out what my next formal piece on academic freedom is. The attacks just keep coming. I’m trying to think of a single instance in recorded history where hate was defeated by reason and I’m coming up short. Did the reason of Lincoln’s Emancipation Proclamation end the Civil War? Did Martin Luther King Jr. reason the cattle prod out of Selma sheriff Jim Clark’s hands? The faith Zingales puts in the power of “reasoned debate” is essentially magical, an all-powerful remedy for whatever ails you. I believe in this case, the University of Chicago’s commitment to the free exchange of ideas is more symbolic and performative than substantive. Inviting Steve Bannon is an attention-grabbing symbol that says, “Hey, open-minded people over here!” but it’s an inch-deep commitment to the values they claim to hold dear. Meanwhile, they’ve got some academic messy academic freedom issues where they seem less reverent of full and free reasoned debate. This is a point I’m interested in – staff don’t have academic freedom, even when they operate in intellectual capacities. – Murder in Australia, with the killer treated sympathetically because the victims were disabled children. Two good pieces criticizing The Shape of Water from disability perspectives. Her character—like all of the characters in the film—is one-dimensional. She is a mishmash of disability stereotypes. She is a social outsider who is largely perceived to be “other”. She clearly longs for more inclusion but is unable to get it. She experiences only simplistic emotions that seem more appropriate to a toddler than they do to a grown woman who has not one but two gratuitous masturbation scenes (so you can throw in creepy sexualization of innocence as well). Silence is a narrative choice. At its core, The Shape of Water asks us to consider what a freak is. Is a monster a god? Is a disabled woman a freak? An outsider? Can she be loved or understood by her own kind, or are the monsters the only ones who can truly understand her? Unfortunately, the answer to this movie was that no, she cannot be loved by her own kind, and yes, she is an outsider. A monster. A freak. She belongs under the water with her beloved Aquatic Monster. We don’t know this for certain, that she lives—in fact all signs point to the idea that she is dying or dead at the movie’s end. But if I accept that she is dead, then the film ends as all disabled films do: in ultimate, inevitable tragedy. So I choose to imagine the slightly less angering of two evils. As a concept, IQ is terrible. The idea that we can reduce intelligence to a simple number, quantifiable in a test, exacerbates inequality in numerous racist, classist, sexist, and ableist ways. Not only do people have worth beyond their measurable cognitive ability, but IQ also routinely awards higher numbers to abled middle- and upper-class white males, reinforcing pre-existing ideologies in the name of “science.” Over the last many decades, scholars and activists have pushed backagainst the regime of IQ testing in all contexts, often successfully. Now, prosecutors in at least eight states have been hiring experts to testify about the racist nature of IQ, in order to kill more black and brown men. Here’s where “ethnic adjustments” come in. The practice, as documented by attorney Robert Sanger in a 2015 article in the American University Law Review, adjusts IQ scores upward for people of color convicted of capital crimes. According to Sanger, prosecutors in Florida, Texas, Alabama, Tennessee, Missouri, California, Pennsylvania, and Ohio have all used ethnic adjustments to successfully impose the death penalty on people who otherwise might have been deemed exempt. In his article, Sanger works methodically through case after case, noting in particular the role played by expert witnesses for the prosecution, who testify to the racial biases of IQ testing. In most cases, these experts have never met the person convicted of the capital crime or assessed that person for disability, even as their testimony clears the way for execution. The things we criminalize reveal a lot about risk and value much more than actual dangers. Here’s a fascinating piece from The Baffler on “distracted walking.” The issue isn’t safety but enforcement of car culture. “Distracted pedestrian” laws aren’t really about the evidence, though. They are about maintaining the privileges of car culture as that culture is about to confront an enormous shift in the balance of civic and technological power—one that threatens to permanently upend the relationship between drivers and pedestrians. There’s a history to the invention of jaywalking that Jordan Fraade builds into the piece, well documented with links to the growth of car culture. In my beat, jaywalking often functions as amcrimes that marginalized folks are more likely to be charged with, including disabled people of color. I’ve seen numerous cases of folks in mental health crisis arrested with force, or even killed, due to unsafe walking. It’s a tool for the criminalization of homelessness and other forms of poverty. And it’s now got a “cell phone” panic component. The phantom menace of the “distracted pedestrian” is just an updated version of the same tactic. In bringing it to pass, local and state lawmakers are once again getting an assist from one of the world’s most storied car companies. The 2017 Ford Fusion included a new feature called Pre-Collision Assist, which uses a combination of radar and cameras to scan the roadway and identify objects blocking it. Fair enough—except that Ford is advertising Pre-Collision Assist as a way to defend the driveragainst “petextrians.” The company website states, “By identifying the problem that petextrians pose to drivers and creating a new technology to combat and prevent this issue, we have reaffirmed our commitment to making the roads safer for everyone.” A company engineer helpfully added, “We were startled to see how oblivious people could be of a 4,000-pound car coming toward them.” In a battle between one person wearing clothing and shoe-leather and another wearing a speeding, combustible two-ton metal machine, Ford wants us to believe that the former is the real threat. When we criminalize an activity, the people who actually get criminalized are the most vulnerable. Anti-texting-while-driving laws (probably an actual threat to safety) then become the new excuse for pulling over folks for driving while black and brown. “I saw you on your phone,” the officer says, when choosing who among the 50 drivers on their phones to pull over. Distracted walking will work the same way. Criminalization of quotidian activities is a tool of the cult of compliance. 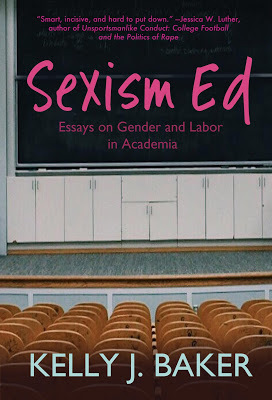 Editor’s Note: I am honored to host the cover reveal for Sexism Ed, coming out this April from Raven Books. Check here for pre-order status. I met Baker through Facebook when she was looking for older academic women to interview about sexism in the academy, and put her in touch with my mother. Here, Baker situates her new book in that history of sexism. When the column launched, I momentarily believed that I would run out of topics to cover. That sexism in academia was a topic that had limits. That there was only so much I could say. That my interest, or maybe the reader’s interest, would wane. What I found instead was that I would write about sexism, and later contingent labor, in the academy for the rest of my life. The limits that I thought I would encounter were not there. The academy has a gender problem. And it’s not new. This shouldn’t have surprised me. We live in a patriarchy, but I had hoped that academia was somehow better than the culture surrounding it. I had hoped that academia lived up to the progressive talk of academics. It also shouldn’t have surprised me because I’m a trained historian. The historian’s standard response, or maybe lament, is “This is not new.” Historians show us again and again that the social problems that we encounter have longer lives that we expect and contexts that we’ve forgotten about. When I interviewed David’s mother, Elisabeth I. Perry, about the two-body problem for a column, I realized that while certain facets of academic sexism might be new to me that they were not new to previous generations of women scholars. 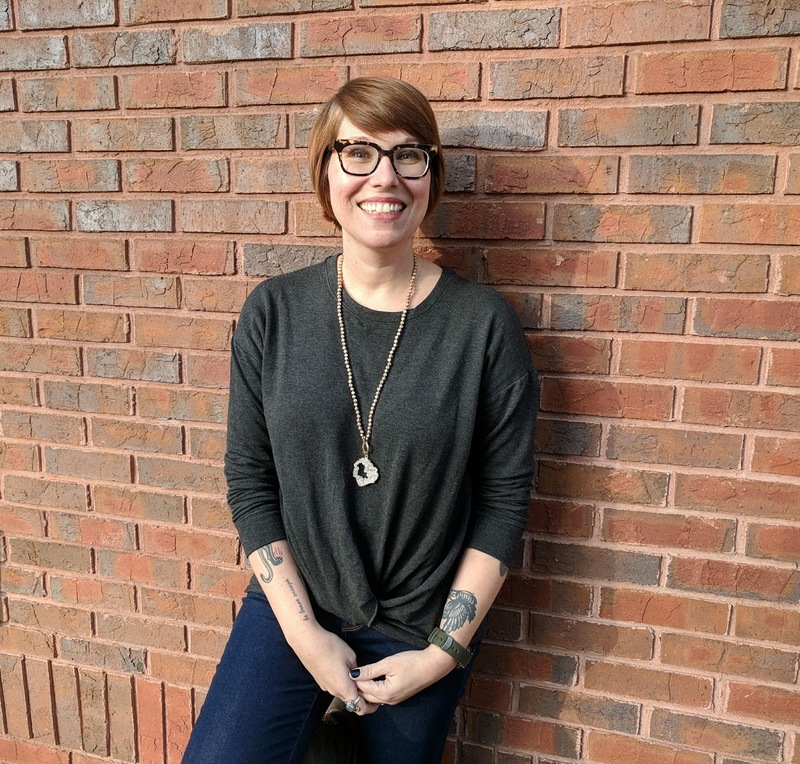 I realized how many women lived with the same problem that I had been facing, but more than that, I could finally see how intractable these assumptions about women and careers are in higher ed. As I pulled together the collection of essays that make up Sexism Ed: Essays on Gender and Labor in Academia, I looked over the dates that each essay was originally published. And I got angry. These essays, some written almost four years ago, could still be published today. The conversations on gender and higher ed haven’t progressed as much as I would have hoped. Writing this book made me feel like I had been shouting into the void for the last few years. So, what I hope for is that Sexism Ed forces some conversations that academics have been overlooking or avoiding about equality and exploitation. I hope that we can recognize how structural sexism is in the academy and work toward dismantling it. I hope that we can stop history from repeating itself for women scholars now and for future generations of women who are pursuing the life of the mind. Sexism in academia isn’t new, but it’s not inevitable either. on a brick wall and wearing a necklace. Kelly J. Baker is the author of the award-winning Gospel According to the Klan: The KKK’s Appeal to Protestant America, 1915-1930 (University Press of Kansas, 2011); The Zombies Are Coming! : The Realities of the Zombie Apocalypse in American Culture (Bondfire Books, 2013); Grace Period: A Memoir in Pieces (Raven Books, 2017); and Sexism Ed: Essays on Gender and Labor in Academia (Raven Books, 2018). She’s also the editor of Women in Higher Education. It can be anything! It’s usually taking over something: An office, a bathroom, whatever, to simulate, as close as possible, what you do [in a real protest]—the adrenaline, the chaos, to give people a feel what to expect. On Sundays [before actions] we have our legal meeting; it goes into into the history of ADAPT, civil disobedience, and why we use that. And we have published an activist guide. I wrote the part about intersectionality. I’m black. I’m disabled. I’m a lesbian. And I worked in the LGBT community before I joined ADAPT. Once I joined ADAPT, I spoke out pretty much about disability discrimination for 25 years. But when Michael Brown got killed, I really decided that, look, I can’t separate my identities and my intersections of oppression from disability. Also, we [must] pay attention to our walking folks who may be helping to open doors. The police sometimes will grab the folks who are walking. Just because you’re walking doesn’t mean you’re non-disabled, but they’ll assume the walking folks are non-disabled. They assume that if they grab the walking people, the folks in wheelchairs or mobility devices will somehow run away. We know what we’re getting into. Especially us veterans who’ve been around a few years, a few decades. The Home Office also said Walayat did not face persecution for his beliefs. In a letter rejecting his asylum claim, seen by the Guardian, it said his assertion that he would be at risk in Pakistan, and could be killed by his family because of his beliefs and his renunciation of Islam, was unfounded. I keep coming back to those lines as they condemn this man to persecution (in the best case scenario).